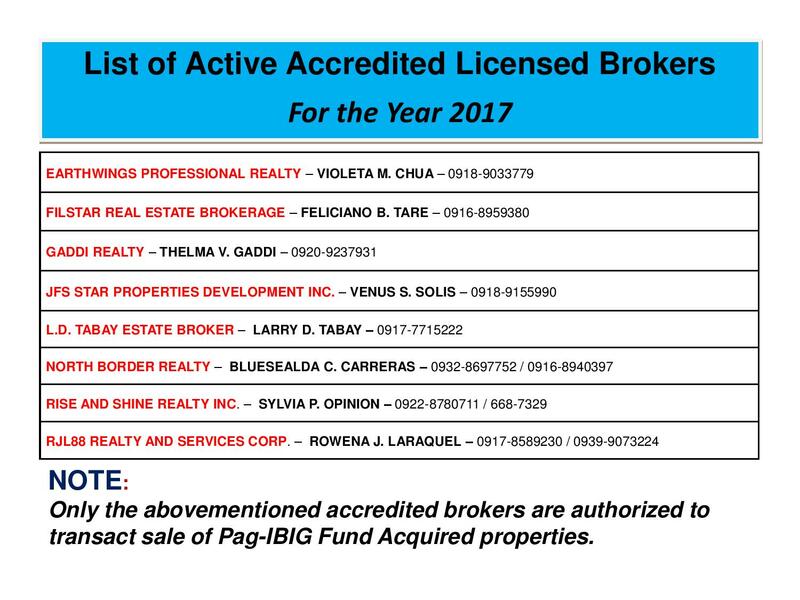 Hundreds of acquired assets of properties of Pag-IBIG Fund will be auctioned this October 2017. 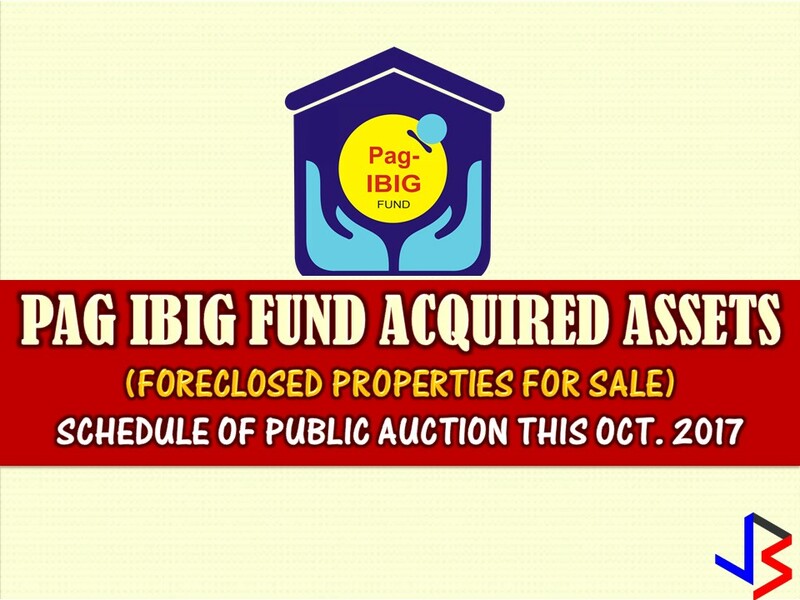 Five Pag-IBIG branches nationwide will be participating in the public auctions. These includes National Capital Region, Davao City and Zamboanga. 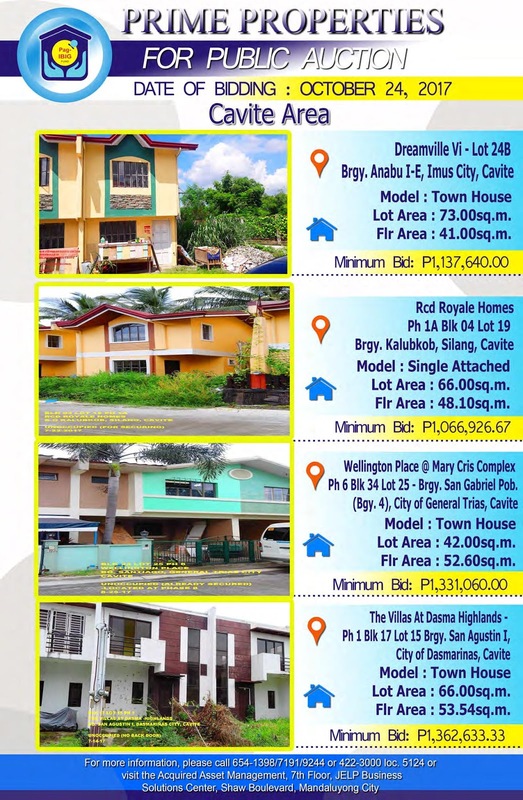 If you are looking for properties to buy such as lot townhouse, duplex, Quadro-duplex, row houses, and many others, this is your opportunity to own. 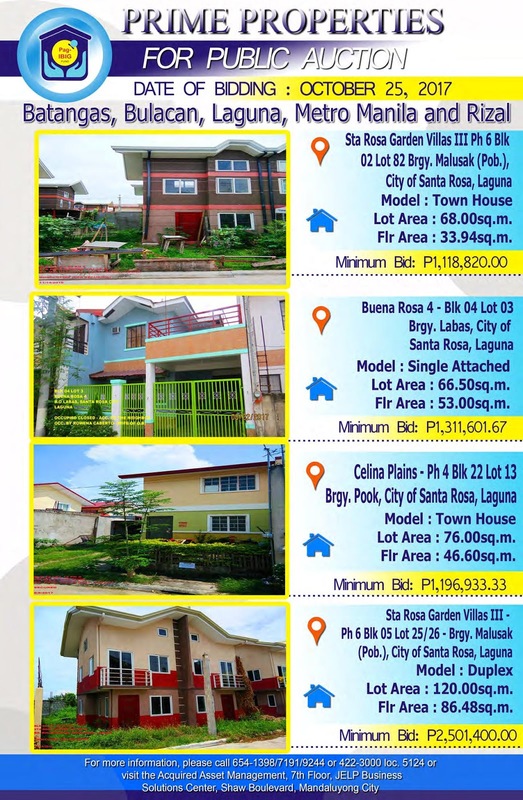 Disclaimer: Thoughtskoto is not affiliated nor is we selling any property from Pag-Ibig Fund. All the information had been verified through Pag-Ibig website. We encourage you to transact only with Pag-Ibig authorized agent in their office when participating in an auction.